Training GPs in a consultation technique designed to find out about the wider context to patients’ problems, and support patient knowledge, skills and confidence to self-care, is feasible and could reduce costs, according to a study by researchers at the University of Bristol’s Centre for Academic Primary Care. The top 3% of attenders to primary care are associated with 15% of all appointments. 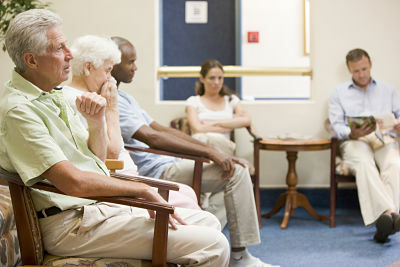 Patients who frequently visit their GP attend for a variety of reasons, including physical, psychological and social. They are high users of NHS resources without necessarily gaining benefit, and may even be harmed. The pilot study, funded by the National Institute for Health Research and published in BJGP Open, looked at the feasibility of training GPs to use a technique called BATHE (Background, Affect, Trouble, Handling, Empathy) during consultations. This involved asking patients a series of questions to uncover any unmet needs that might be contributing to high levels of attendance. Patients were also assigned to a named GP and telephone consultations were encouraged. The intervention was piloted in six GP practices with differing levels of deprivation. Four practices were randomised to the intervention (451 patients participating) and two to usual care (148 patients participating). There was some evidence of improved patient activation and lower consultation rates in the intervention group. Patients in the intervention group were positive about the intervention but noticed little change in their care. GPs were keen to engage and there was evidence that the BATHE technique was taken into practice. The intervention was found to be low cost at around £5,627 per practice, with GP training time accounting for over half of all cost. Although there were some barriers to uptake, for example some GPs reported fear of ‘opening a can of worms’ in a time-limited environment, use of BATHE did not seem to significantly increase consultation length. They found the technique to be helpful and gave examples of it yielding new insights, even from patients they knew well. Paper: A consultation-level intervention to improve care of frequently attending patients: a cluster randomised feasbility trial. Rebecca K. Barnes et al. BJGP Open. January 2019.